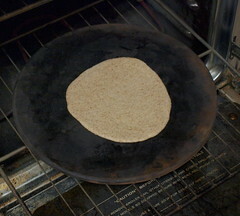 I think pita bread may be magic. 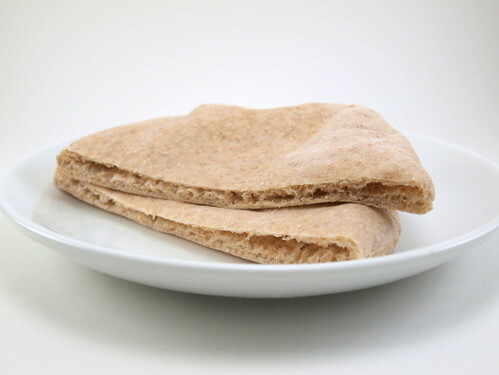 Not that it will grant wishes or anything, but I think the way it goes from thin, flat dough into a hearty pocket of bread fascinating. 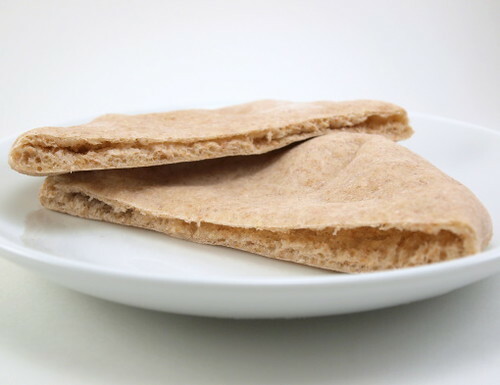 Aside from the fascination factor, the versatility of pita bread is endless. 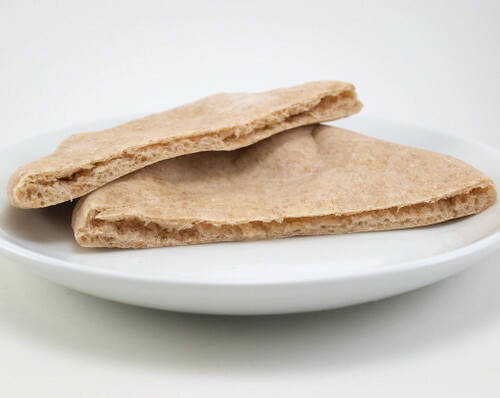 Stuff them with lunch meat for a sandwich, top them with sauce and cheese for a pizza, or bake them until crisp for chips. 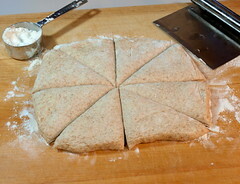 Yes, the pita is very versatile. 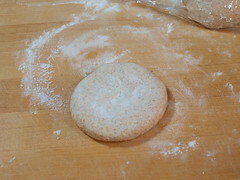 Notes on this recipe … First, they come out best if you can bake them on a raging hot pizza stone or cast iron skillet. 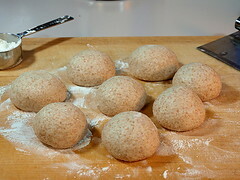 The stone, or skillet, should be heated for at least thirty minutes before baking for the best, and most puffy, results. 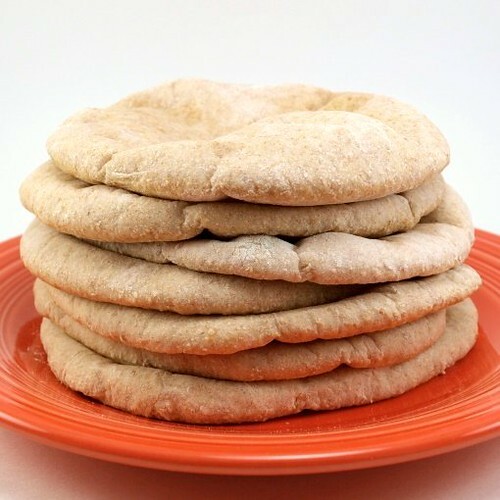 Second, these pita are made with whole wheat graham flour because it has the nutty flavor I wanted for this recipe, but if you do not have that standard whole wheat flour will work just as well. 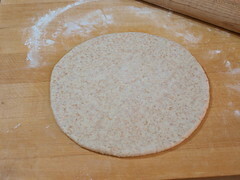 Third, kept in a plastic bag the pita last for up to four days at room temperature. 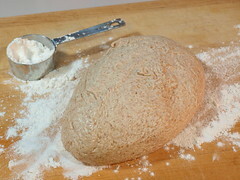 In a large measuring cup combine the water and yeast. Let stand for ten minutes, until foamy. 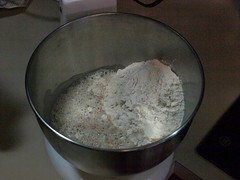 In the bowl of a stand mixer combine the yeast mixture, both flours, salt, honey, and oil. 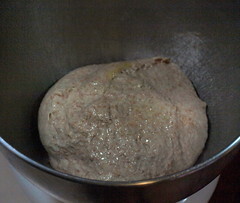 Mix on low speed for three minutes then check to make sure the dough is not too liquid, but it should be sticky to the touch. Mix on medium speed for five minutes. 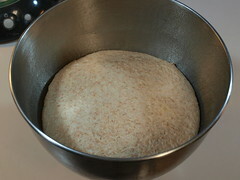 Cover with plastic and let rise until double in bulk, about an hour. 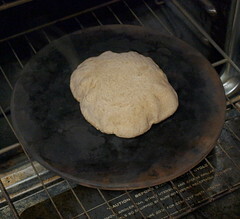 Heat the oven to 475 F with a pizza stone, or 9″ or larger iron skillet, for thirty minutes.